The Duke and Duchess of Cambridge have topped a list of ideal Christmas guests people would want to invite to their family dinner. The new parents, who will spending the holidays with the Royals at Sandringham, have been voted the perfect dinner guests to spend the festive holidays with in a poll conduced by Personalise.co.uk. Prince William and Kate held off stiff competition from Harry Potter author JK Rowling, Stephen Fry and Hollywood actor George Clooney. This Christmas, the Duke and Duchess will be enjoying their first Christmas with son Prince George who was born in July. The royal couple will spend Christmas Day with the Royal Family including the Queen, Prince Philip, the Prince of Wales and Duchess of Cornwall and Prince Harry. This Wednesday the British royal family gathered together for the Christening of Prince George, and delighted the press with a collection of official family photos. The royals, headed by the 87-year old monarch Queen Elizabeth II, are notoriously camera-shy and when it comes to big events like this, they tend only to employ their own professional photographers. Following the Christening of the son of the Duke and Duchess of Cambridge which took place at the Chapel Royal in St. James’s Palace, official royal family photos were taken in the Morning Room at Clarence House in London. Baby Cambridge now has a name! 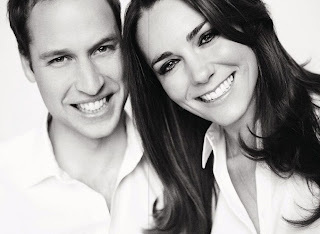 Prince William and Kate Middleton announced Wednesday they have named their 3-day-old son George Alexander Louis. His official title is His Royal Highness Prince George Alexander Louis of Cambridge. He is third in line to the throne behind dad Prince William and grandfather Prince Charles. “The Duke and Duchess of Cambridge are delighted to announce that they have named their son George Alexander Louis. The baby will be known as His Royal Highness Prince George of Cambridge,” reads a statement released by Kensington Palace. Kate Middleton and Prince William don’t plan to hand off baby duty to a nanny, according to insiders. Although the Duke and Duchess of Cambridge will reportedly employ a part time nanny for when they need to attend to royal duties, they plan to take on the majority of caring for their first child themselves. A part-time nanny will also enable the Duchess to continue with her charity work. “They want to be as hands on as possible,” a source tells Us Weekly magazine. Middleton’s pregnancy was announced on December 3 after she was hospitalized for acute morning sickness. The 30-year-old made her first official public appearance since the announcement at BBC’s Sports Personality of the Year Awards on Sunday. She helped David Beckham present Lifetime Achievement awards to Lord Seb Coe, Jessica Ennis and Bradley Wiggins. The Duke and Duchess of Cambridge are really getting dolled up for the first anniversary of their royal wedding. Mattel Inc, the U.S. maker of Barbie dolls, said this week it will release a special two-doll set in April to mark the one-year anniversary of Prince William and Kate Middleton‘s wedding at Westminster Abbey. The figures, part of Mattel’s Barbie Collector series, will come dressed up in outfits duplicating those the couple wore in a ceremony that was viewed by an estimated 3 billion people worldwide. For Kate, that means a miniature of the traditional white dress and veil she wore, as well as a teeny-tiny tiara just like the diamond-studded original she borrowed from Queen Elizabeth. The price for the two-doll set is $100 and Mattel is taking pre-orders at http://www.barbiecollector.com. The royal couple joins others in Mattel’s Barbie Collector, including country singers Tim McGraw and Faith Hill, as well as TV stars Lucille Ball and Desi Arnaz.